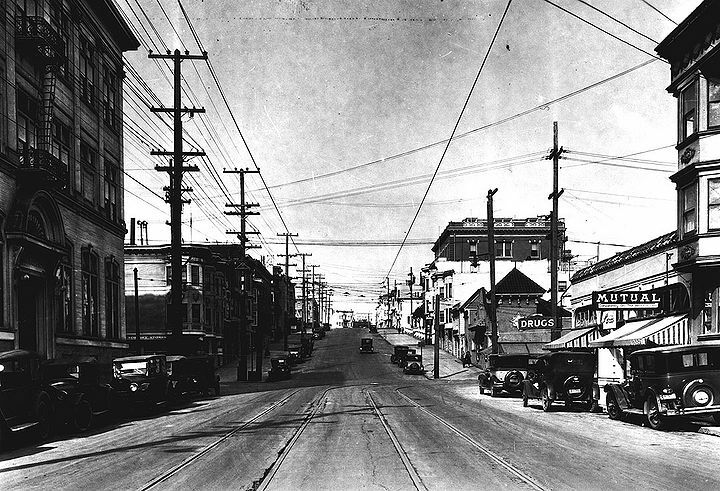 Mission Street north at 16th St., 1925. 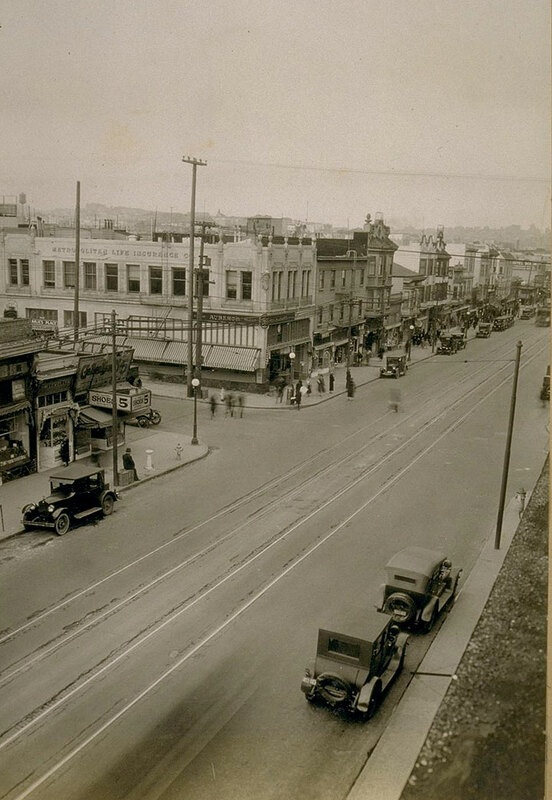 Mission Street east side between 23rd and 24th Streets, September 1926. Guerrero Street looking north at 14th Street. 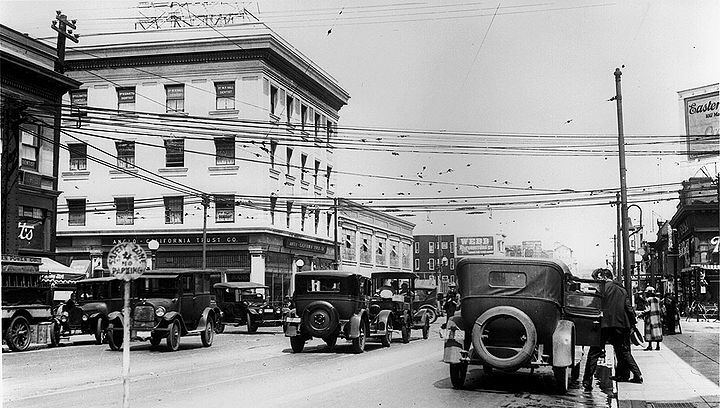 Building Trades building at left corner, 1928. 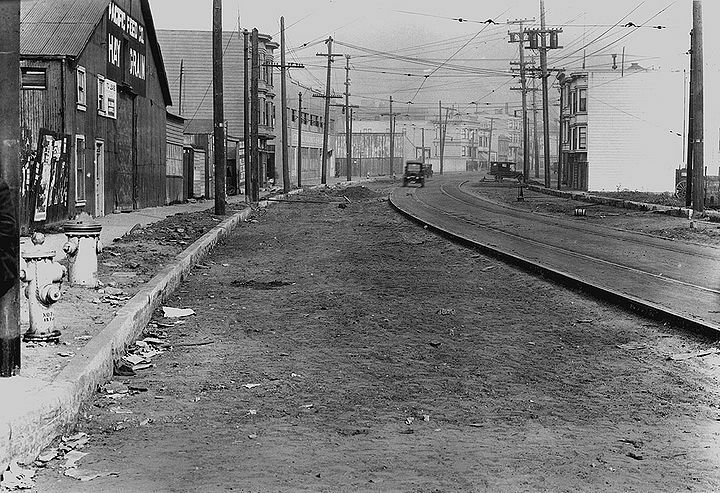 North on Bartlett Street from 24th Street, January 1926. 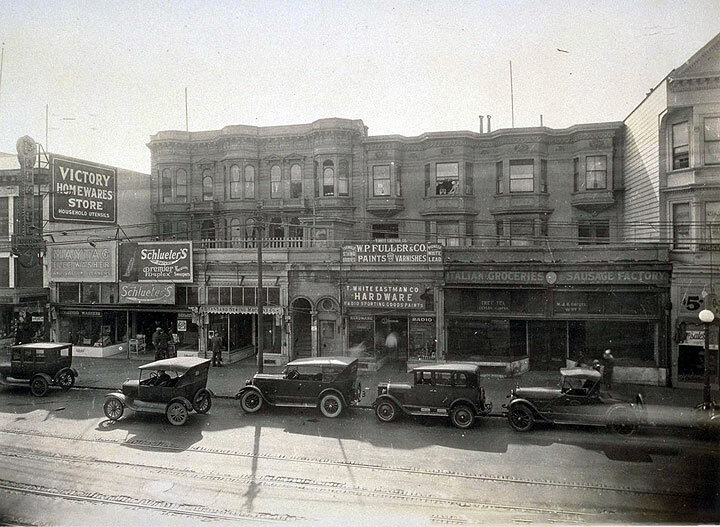 Folsom Street north from 14th Street, November 9, 1926. 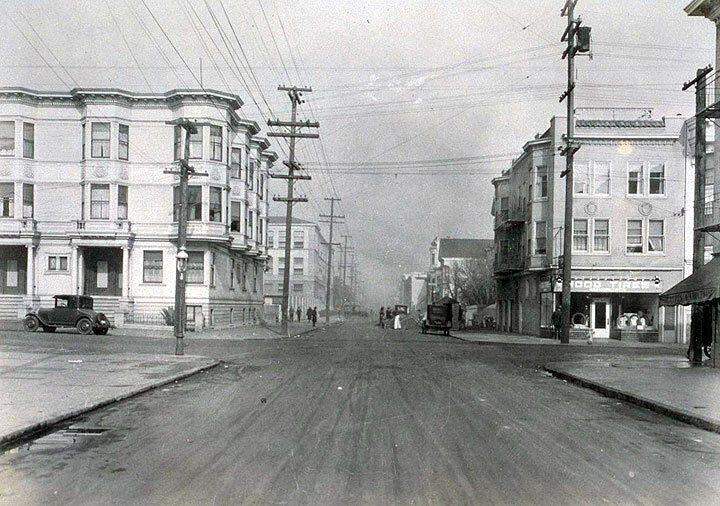 North on Mission Street from 20th, showing corner of 19th and Mission, 1919.